Nutter sponsored the 2014 Turnaround of the Year Awards Gala, which was hosted by the Turnaround Management Association Northeast Chapter (TMANE) and the Commercial Finance Association New England Chapter at the Seaport Hotel on May 5. 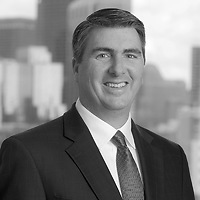 John Loughnane, a partner in the firm’s Business Department, serves as secretary for TMANE and was a member of the planning committee for this charitable event which honored Ben Cherington and the Boston Red Sox for their incredible turnaround season in 2013. The gala began with a cocktail reception and silent auction, followed by dinner and a formal presentation hosted by WBZ News anchor Steve Burton and featured Ben Cherington as the keynote speaker. The event raised $50,000 and all proceeds have been donated to charitable causes including the Red Sox Foundation's Red Sox Scholars Program and the Ron Burton Training Village.